Thank you for taking the time to send Boulder voters a letter detailing Xcel Energy’s opposition to ballot measures 2B and 2C. I typically don’t send letters of thanks to those who waste ink & paper to fill my mailbox with threats, pseudo-truths, & baseless supposition. However, as a previously undecided voter on the question, your note helped me cast my vote in favor of 2B/2C this afternoon without trepidation. Now, Mr. Eves, I appreciate that, as an officer of Xcel Energy, you are duty-bound to act in the interest of your shareholders, but, that does not absolve you of the responsibility to be up-front with your customers or afford you license to play fast & loose with the truth. Your claims that 2B and 2C necessarily incur or somehow constitute a “hostile condemnation process in the courts” involving “years of litigation” are simply not true – they are baseless supposition at best. In fact, I see the situation as quite the opposite: Xcel controls whether this process would go smoothly or be mired by what you describe as “litigation and uncertainty” simply by the level of cooperation the Public Service Company of Colorado (PSCo) exhibits (or chooses not to) in divesting distribution & generation assets at a fair market value. Or, on the other hand, PSCo has sole discretion in making these threats a reality by acting in a retaliatory manner by inflating sale prices, throwing forth technical barriers, and complicating demarcation to try and retain control of grid assets or mire the municipalization process in costs, delays, and negative press. However, that, or any other red herring – be it costs, Xcel’s claimed progress towards renewables, or fancy glossy marketing materials & slogans from Xcel aren’t what cast my ballot for me. These are all distracting accoutrement adorning the core of the issue: Xcel Energy is responsible, by nature, to its shareholders and the profit motive. Intrinsically, there is nothing wrong with this notion. In fact, as a shareholder of many corporations, former employee of a major corporation, and a founder of my own, I truly appreciate that idea. But, I also appreciate the deeper implications it has for energy policy in Boulder. I’m not interested in the fancy portmanteau named programs Xcel has touted as “innovative” in renewable capacity (many of which were done in part or in whole to meet state or Federal mandated generation-mix or clean-air requirements, I might add). I’m also not convinced by Xcel’s claims, graphs, and thick glossy-stock printed collateral boasting a “proven track record” in renewable energy. 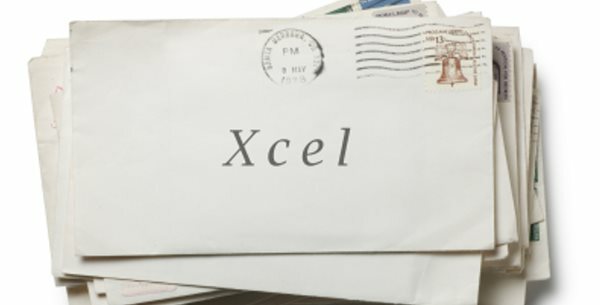 Instead, as an astute investor, businessman, and shareholder, I’m particularly swayed by certain facts gleaned from your annual report, balance sheet, and investments, which frankly speak louder to the issues than any letter you might send my way (speaking directly to facts that Xcel has largely kept off their talking points prompter on the issue, for obvious reasons!). Anyway you slice it, Xcel is “big coal”, and has not been “responsible” by Boulder customers (let alone nature). Xcel’s 2010 SEC 10-K filing demonstrates that the PSCo enjoyed a 19% improvement in diluted earnings per share. Of course, the informed voter will not be surprised that this is the case, since Xcel fought for (and was awarded) the nation’s 2nd highest electrical rate increase (21.4%) in 2010. The story becomes even more sordid when you recall that the primary justification for this rate increase to the PUC was a $1.3 billion expenditure to construct the brand-new Comanche 3 coal-fired plant and the conversion of a former nuclear facility to fossil-fuel based generation. This is not the picture of the clean and renewable-centric Xcel your corporation has spent millions trying to portray, is it? There are so many more examples of how the entire gamut of Xcel’s asset mix, investment posture, and business model demonstrate that Xcel is neither committed to renewables nor interested in any other goal than protecting their profit motive and their shareholders’ pecuniary interest (either in Boulder, in the PSCo, or across their entire portfolio of businesses, distribution infrastructure, or generating capacity). In reality, the facts (and history) confirm an even more disappointing outcome: Xcel (and the PSCo) will act in its own pecuniary interest and do only what they must when their feet are held to the (coal) fire to demonstrate a (token) shift to renewables, and not only do they remain firmly encamped in coal country, but they continue to lay deeper foundations there, too. But, I won’t waste your time (or any more paper) waxing poetic about the story the actual numbers tell themselves (I’ll believe an audited 10-K filing over glossy inserts in my Xcel bill/from an Xcel funded PAC any day, by the way). Instead, I’ll leave you with this thought: after being bullied & threatened by your letter and the various “citizens groups” Xcel has funded to the tune of nearly $250,000.00 (at last count – the number invariably will continue to tick upwards in the final days of the campaign), I’m left with solid confirmation that our energy future is not well-cared for in your hands and should not be in the hands of your corporation. Xcel’s values & conduct in the past decade in how it has done business and, more recently, with how it has approached the 2B/2C question has given me pause and reason to be excited to see even an inefficient, bumbling, and slow government entity take the reins (although I truly believe the City of Boulder can do much better than that and isn’t nearly as incompetent has Xcel has painted them to be!). Again, Mr. Eves, thank you for clearing the air on these ballot issues – it helped me do something “Responsible by Nature” and vote to find a way to put more naturally responsible leadership in place for my utility needs. Previous Topic: Anemone Hill: Does It Need an Obituary?